Fox Chase Cancer Center’s Robert G. Uzzo, MD, FACS, received the 2018 SUO Medal from the Society of Urologic Oncology (SUO) for his significant contributions to the field of urologic oncology. This prestigious award is presented to one member of SUO annually and is among the organization’s highest honors. 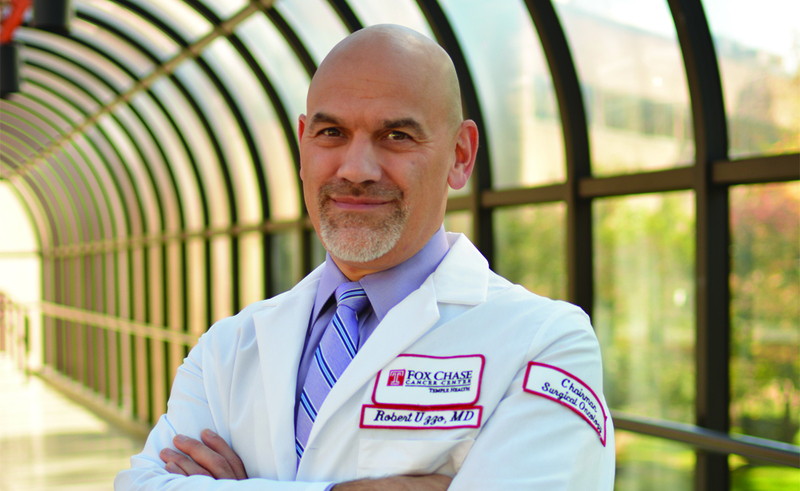 Uzzo, who is a surgeon and researcher as well as professor and chair of the Department of Surgical Oncology at Fox Chase Cancer Center, is an internationally renowned leader in the field of urologic oncology. His interests include organ-preserving surgeries, robotic and minimally invasive surgeries, complex urological reconstructions, adjuvant therapies for high risk urologic tumors and non- surgical management of low risk tumors. He is a national principal investigator on multiple adjuvant kidney cancer clinical trials evaluating both targeted anti-angiogenic and immunotherapies. He currently is president of the SUO Clinical Trials Consortium, author of more than 400 chapters, articles, books, and abstracts on urologic tumors, and has presented hundreds of regional, national, and international lectures. A fellow of the American College of Surgeons and the prestigious American Association of Genitourinary Surgeons, Uzzo has consistently ranked among Castle Connolly’s and Philadelphia magazine's "Top Docs" in urology. He joined Fox Chase in 2000. Since 1984, the SUO has been dedicated to research and education in urologic oncology, with the aim of caring for patients with malignant genitourinary diseases. Uzzo accepted the SUO Medal at the combined spring 2018 meeting of the SUO and the American Urology Association (AUA). Among many honors, he is the recipient of the 2017 SUO President’s Distinguished Service Award and the 2014 AUA Residents Committee Teaching Award.